Alcatel Fierce 4: The Budget-Friendly Beast You’ve Been Waiting For? The Alcatel brand has a quite interesting history behind it but it’s not stopping them from coming up with devices meant to be at par with the higher end names in the industry today. Following their launch of the Alcatel Idol 4 and the Alcatel Idol 4s, available both in the US and in other parts of the world, Alcatel is yet again causing a stir in the entry-level range with their introduction of Alcatel Fierce 4 to the US market. In today’s gadget world where bigger seems to be better, Fierce 4 will never feel left out. This is a 5.5-inch beast, offering a large-screen for those who don’t like watching their favorite media on small screens. With the rumors that this will be a more extremely affordable handset than their earlier flagship phones, it’s no wonder that Fierce 4 is being anticipated by users who want a big screen but are on a budget. On the outside, you will get a 1280x720 resolution display right under a sheet of Dragontrail glass, which happens to be an uncommon material considering that the industry prefers Gorilla Glass. On top of the display of Fierce 4 sits its 5-megapixel front shooter with an 84-degree wide-angle lens perfect for taking group selfies. On the back, there is an 8 megapixel shooter with sensor. Alcatel Fierce 4 features a 1.1GHz quad-core Qualcomm Snapdragon 210 chipset. This also comes with 2GB RAM complimented by the 16GB native storage expandable to as much as 32GB through its dedicated MicroSD card slot. This new addition to the Alcatel line is being powered by a 2,500mAh battery, which, once combined with lower resolution display and its low-power processor, is more than enough to let you use this phone from morning till night. Fierce 4 is running Android Marshmallow straight out of the box and there are still no clues whether it will get a Nougat update anytime soon. However, you have to remember that with all these things on paper, it is pretty obvious that Fierce 4 is an entry-level device at most. It means that if you are looking for the greatest and the latest, you might be better off if you will turn your head somewhere else. What is more enticing is its price tag of $70, which serves to be the determining factor if you are after a secondary phone or you are planning to give a loved one a first smartphone. This is a shockingly low price but expect that there will be specs trade-offs for the phone to be more affordable. Good example is its 720-pixel screen resolution, something that is too low for its expansive display. There is also the lower powered processor, and the 8-megapixel camera. While Alcatel Fierce 4 is being marketed for an affordable price, the cut down comes at a cost. But still, if you need an entry-level phone that is decent enough for casual use, then, this one is a great choice. Samsung Galaxy Note 7: Is the Best Big Phone Today? 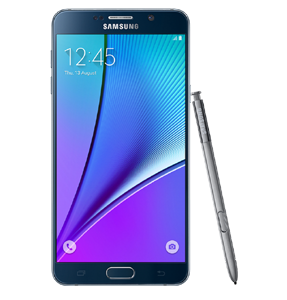 Samsung Galaxy Note 7 is the long-awaited return of the company to the market of phablet. While the tech giant released Noted 5 last year, it only did to some countries only. Thankfully, for all Note fans, Samsung Galaxy Note 7 will be released globally. But, is it really the best big phone today? Samsung Galaxy Note 7’s design feels like the pinnacle of the smartphone design of the company. It is identical to Galaxy S7 Edge, other than the fact that it is much symmetrical perfectly the back and the front. But, Note 7 feels more comfortable in the hand. Its rounded edges also feel much secure. Samsung Galaxy Note 7 takes pride from having a 5.7” screen with a resolution of 1440 x 2560 QHD. Its increased size also means that this takes a negligible dip in the PPI, yet even eagle-eyed graphics nut can’t hardly spot the difference from S7 Edge. Samsung Galaxy Note 7 also comes with super AMOLED technology. Contrast and color accuracy are perfect and their maximum brightness has been boosted, which makes it handy for outdoor use, even in direct sunlight. The Note series are said to be for power users. Yet, it’s no longer the case. Samsung Galaxy Note 7 is basically identical with Galaxy S7 in terms of component level. It comes with 4GB RAM and octacore Exynos 990 CPU. Their only difference is that Samsung Galaxy Note 7 features 64GB ROM instead of 32GB. The battery capacity of Samsung Galaxy Note 7 is 3500 mAh, which is exceptional. For testers, it’s the best battery life they have seen. Note 7 also have USB Type C port as well as fast charging, which only means that it is easy and quick to juice up. Apart from S Pen, the biggest feature of Samsung Galaxy Note 7 is full IP68 water as well as dust-proofing. While Galaxy S7 reintroduced this kind of protection to the range of Samsung Galaxy S, this device is said to be the first in Note series to be completely waterproofed at this level. Note 7 also comes with a blue-light filter to make late night use easier on your eyes. It’s a welcome addition and one that many people are hoping that the company would bring to its handsets through a software update. The shortcuts of Samsung’s Edge are back in Samsung Galaxy Note 7. All in all, Samsung Galaxy Note 7 feels like the second version of Galaxy S7, yet it is refined, tweaked, and sports several extra features. It isn’t a bad thing by any means as Galaxy S7 is still a great phone. However, Samsung Galaxy Note 7 is much better. It is packed with exceptional features, comes with topnotch blistering performance and hardware, and has a good battery life, making it as the best phone of Samsung in terms of battery life, design, productivity, and so much more. If your Samsung Galaxy Note 7 is locked to use with any specific carrier and you want to unlock it to use with any compatible gsm sim cards worldwide. Then you can Unlock Samsung Galaxy Note 7 with the help of unlock codes which are the safest and secure method to unlock any device. This is one time and permanent unlock solution which doesn’t need any lengthy process or technical skills at all. Serial ports are pretty versatile. They are used for different equipment and various devices communication with computers and servers. Diagnostic tools, credit card readers, and more. Download FlexiHub from this page and install it on a computer with serial port to be shared and a computer that will access shared port. Create a secure FlexiHub account to be able to share COM over Ethernet and manage this shared connection securely. Start the app and click the ‘Sign Up’ button in the top right corner. On the Registration page fill in the details and click ‘Create Account’. Now sign in to FlexiHub account using your newly registered details. In FlexiHub window you should see all devices available for sharing. Choose the one you want to share. On the remote computer click 'Connect' and you will be able to work with the device as if it was connected directly to your computer. Distributing audio over Ethernet is in many ways better than analogue radio. For example the quality of the sound doesn't suffer because of the distance. To send audio over network you may need a long cable which is not always a possibility or use a special software that allows sharing microphone or webcam over network and thus sending audio wirelessly over any distance. USB Network Gate is a specifically developed software that creates a shared access to a USB microphone over network, or any USB device for that matter. No wires on your desk - everything is neat and clean with this reliable solution that is also easy-to-use. - Download and install USB Network Gate to your computer and to other computer participating in connection, i.e. the one that is sharing the device and the ones that are going to access this device. - Open ‘Share local USB devices’ tab, find the device you will be sharing and click ‘Share’ button next to it. You can customize connection settings now or whenever needed. Now remote computers can see and access and work with this device. Additionally USB Network Gate allows accessing a USB microphone in remote session. It is really handy since once you connect to a remote machine via RDP all USB ports are inaccessible plus there is no audio input/output functionality. USB Network Gate fixes it and lets you work with your local devices on a remote machine as if they were connected to it physically. USB Network Gate values your privacy, so separate logins will have separate sessions with audio streams and accessible devices. There is no need to worry about confidentiality. - Remote access to any USB device. - Work cross-platform on Windows, Linux, Mac, and Android. - No additional hardware or software is required. - Works with virtual machine and in remote desktop session. - Share a device only with specific users. Do you currently have a desire to stop smoking? Perhaps you have wanted to quit for quite some time but could not do so, no matter how hard you tried. Electronic cigarettes have been available for a couple years, and recently, their popularity has begun to explode. Websites are popping up all over the Internet marketing some of the most popular brands. Halo, Green Smoke and CloudCig just to name a few. There are several reasons why electronic cigarettes UK are much better for you than traditional ones. In this article, we will discuss a couple of the prominent reasons why you should try ecigs if you have ever wanted to end your addiction to smoking. What most people do not understand about electronic cigarettes is that they do not involve the use of smoke or to carcinogens found in most cigarettes today. These components of cigarettes have been linked to millions of lung cancer cases. As a result of the bad effects of the carcinogens in traditional cigarettes, e-cigarettes have become one of the best alternatives to regular smoking. When you smoked traditional cigarettes, there are many locations where you could not use them. Airlines, restaurants, and in many hotels, smoking is not allowed within the facilities. However, if you need a nicotine fix, but you don't want to find a specific spot to smoke, electronic cigarettes allow you to use them in all of these places because the second-hand smoke is simply water vapour. When the e-cig ignites after you inhale, it converts liquid nicotine into a water vapour. After inhaling, and exhaling, you will see the water vapour coming out of your mouth, not second-hand smoke. Therefore, if you would like more freedom for your smoking habit, electronic cigarettes can provide that for you. In some cases, electronic cigarettes can be far less expensive than traditional ones. Although it depends upon the type of cigarettes that you currently smoke, and the best brand of e-cigarettes that you choose, you can sometimes save up to 50% on the cost of your smoking habit, and perpetuate it without being concerned about health risks. By making a healthier choice in regard to your smoking, you can save a considerable amount of money on the cigarettes that you buy by switching to the ecig alternative. In fact, electronic cigarettes UK stores will be able to help you get the same amount of nicotine in your E. cigarettes as you are right now. Although it is possible to get different flavours with the cigarettes they smoked today, they are limited to just a few. Regular, menthol, and an assortment of others are the only choices available with regular cigarettes at your store, on the Internet, and through the many cigarette distributors throughout the nation. With electronic cigarettes, they have the aforementioned flavours, along with cherry, vanilla, chocolate, and an assortment of flavours usually associated with certain foods today. And as mentioned before, not only will you get more flavours to choose from, it gives you the freedom to try many different e cigarettes without having to have a negative impact on your health. Hopefully this information on electronic cigarettes UK will help you make a wise and healthy decision with your smoking habit today. They allow you to get the same amount of nicotine, for half the price, and give you a much healthier way to continue your smoking habit with far fewer health risks. Go ahead and check out an electronic cigarettes UK store today. Unfortunately non-profit organizations tend to underestimate the power of social media marketing. Their main focus becomes solely on their website with the hopes that they are going to be able to draw enough traffic to meet their needs. Yet there is a huge potential market that is waiting to hear from them in the social media platforms, where they need to build healthy audiences of Fans, Likes, Viewers & Followers. The success for non profit organizations is all about getting the word out about what they stand for and what they have by way of goals. The main priorities of many non profit organizations is to generate contributions and donations and recognition for the cause that they stand for. The social media platforms are perfect for really helping to reach these goals. Social media is all about engagement - and generating donations and contributions only works through the proper engagement with Fans and Followers who are sensitive to the needs of the non profit organization. This becomes the target market that has to be sought after when building the social media campaign. A mention on Facebook or a Share on Instagram of some action that the non profit organization has carried out has a dramatic impact through engagement. This is something that the social world readily wants to share because it is for a good cause. Recent studies have shown that more than half of the non profit organizations that have built up significant Likes and Followers on social media platforms have been able to escalate their donations. The goal is to focus on the Facebook shares and likes, and the Twitter tweets, to bring the end result of a contribution or a donation in most cases for the non profit organizations. These organizations are totally dependent in most circumstances on the willingness of the public to contribute to their costs. It has also been discovered that social media is growing three times faster as leading campaigns for non profit organizations compared to email campaigns. One of the stumbling blocks that non profit organizations face is that the majority of their staff is there on a volunteer basis, and they are stretched thin when it comes to the obligations that they have taken on for the organization. Most often there is just not enough help to go around to be able to dedicate their time it to the social media marketing campaigns that are necessary to make them successful for the non profits. Non profit organizations also have the option of being able to take advantage of support services that can help build their Likes much quicker than what they may be able to do – without resorting to just buying them. These are services that are offered by highly-regarded companies including www.liftoffsocial.com. For individuals that really have found a non-profit organization that they would like to support but are not able to financially, they might want to consider offering their services as a social media marketer. Of course this means that one has to have the knowledge and expertise to do this, but it is not something that cannot be learned. The most common the platform that non profits tend to be drawn to is Facebook, although many do use Twitter as well as LinkedIn and YouTube. New York, New York, April 19, 2016 – RakEM, the world’s most secure messenger, is trusted and used every day by cyber security pioneer and expert John McAfee. WhatsApp recently announced availability of end-to-end encryption for messages on their system – a necessity that was built into RakEM from our original launch – but there are still many questions around the data being collected by WhatsApp and their parent Facebook. McAfee, cyber security expert and pioneer, and presidential candidate. RakEM runs over any internet/data connection. Anyone with data services on Android, iOS, Windows or Mac OS can download and start using RakEM immediately. Save time: The average person spends 2.5 hours a week doing our laundry. What would you do if you could add 10 extra hours every month to your calendar? Save money: If you do a load of laundry by yourself it will cost $45 including the detergents, laundry machine, dryer, and iron, and also your time. For under $21, you you get the same job done by professionals. Cleaned with Care by Cleaners Around You: Doing business with local laundromats helps them to stay in business and you to enjoy high-quality service. These days it’s a challenge to have your PC protected against all threats that have been lurking around on the Internet. Even people who are experienced PC users encounter security problems that they can’t handle on their own. That’s when MalwareHero comes in handy with its free advice and practical guides on how to protect your computer from threats as well as how to remove malware that has already invaded your PC. MalwareHero is a website whose purpose is defying malware and teaching PC users how to avoid it. The team behind this website has recognized the need to offer simple and comprehensible information about malware so that people who aren’t PC experts could understand what it’s all about. Malware Protection section is a perfect place to start learning about the basics of malware. Here you can find the ABC of malware explained in layman’s terms, unlike many other websites that deal with this subject as if it were rocket science. We witness new malware threats and viruses on a daily basis, and it’s very important to find out about them before they reach our computers. MalwareHero is always on top of the situation as it manages to get hold of the latest security issues and it’s usually among the first to spread the word about them. If you check it out regularly, you don’t have to worry about your security as you’ll be well informed. It’s important to point out that the News section deals with topics related to Windows, iOS and Android operating systems. Guides section is packed with numerous free removal guides and tutorials, carefully designed to be suitable even for completely inexperienced PC users. This means that they are written in ordinary language, while some tech phrases have been simplified and explained. Screenshots additionally make it easier for people to follow the removal procedures and apply them. Each guide is accompanied by a practical video tutorial that shows the removal procedure in a user-friendly step-by-step fashion. There are articles that show in detail how to remove PUPs, adware, browser hijackers, Trojans and other frequent malware. Since prevention is better than cure, MalwareHero provides you with ideas on how to protect your computer and avoid any potential threats. If you want to see it for yourself, we suggest that you read a couple of their articles such as “How to remove Linkzb.net” or “How to Remove Genieo Toolbar from Mac”. Another interesting option is that you can actually contact the MalwareHero staff and ask any question concerning malware or any other related PC issue, and you’ll get your reply in no time. Just click on Ask a Question tab and MalwareHero will come to your rescue. To put it in a nutshell, if you are experience malware issues or if you just want to prevent them, we cordially recommend you MalwareHero. This website is your reliable companion in a battle against malware and other potential threats. When you compare latest flagships in the realm of phablet, you can find out which one can alternate the Apple iPhone 6s Plus. Below are the few comparisons we found. 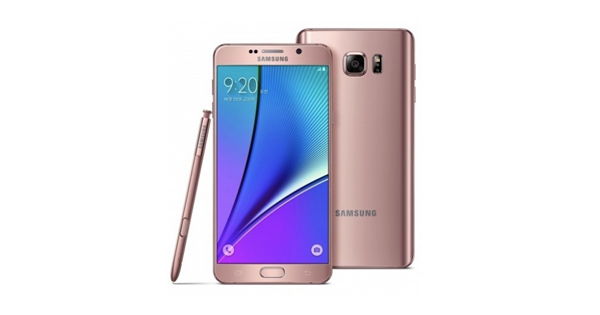 Samsung Galaxy Note 5: Having the big screen (5.7-inch screen) Samsung Galaxy Note 5 manages to be 11 percent lighter than iPhone 6s plus. Note 5 is 171g whereas iPhone 6s plus is 192g. iPhone 6s plus comes in gray, silver, gold and rose gold colors but Note 5 comes in black, white, silver, gold colors. Note 5 has (5.7") a 7 percent bigger screen than iPhone 6s plus (5.5"). With the resolution of 2560x1440 with 518ppi, Note 5 beats to iPhone 6s with the resolution of 1920x1080 at 401ppi. When it comes to camera, Note 5 consists of 16mp rear camera with 5mp front facing camera while iPhone 6s plus has 12mp rear camera with 5mp front facing camera. Note 5 holds 4GB RAM but there is no information about iPhone 6s plus' RAM. Another special feature of Note 5 is wireless charging system which can't be found in iPhone 6s plus. 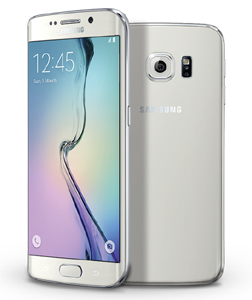 Samsung Galaxy S6 edge plus: Edge+ has the big screen (5.7-inch screen) compared to iPhone 6s plus. Edge+ is is lighter (153g) than iPhone 6s plus (192g). iPhone 6s plus is thicker than Edge plus as it is 7.1mm where Edge plus is 6.9mm. 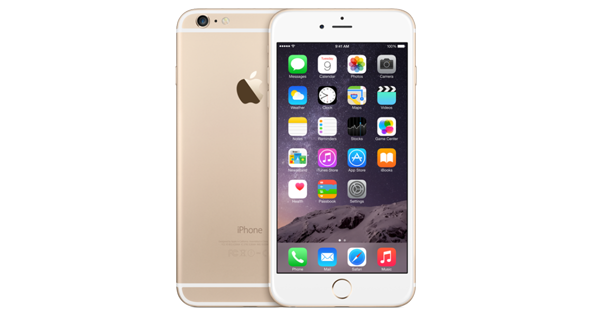 iPhone 6s plus comes in gray, silver, gold and rose gold colors but Edge plus comes in black, white, silver, gold colors. Edge plus has 5.7" screen with the resolution of 2560 x 1440 with 518 ppi, while iPhone 6s has the resolution of 1920 x 1080 at 401 ppi. Both has fingerprint scanner. Edge plus consists of 16mp rear camera with 5mp front facing camera while iPhone 6s plus has 12mp rear camera with 5 MP front facing camera. Another special feature of Note 5 is wireless charging system which can't be found in iPhone 6s plus. When it comes to internal storage, Edge plus has 32 GB expandable up to 64 GB where iPhone 6s plus has 16Gb expandable up to 128 GB. Edge plus runs Android 5.1.1 Lollipop with Exynos 7420 processor while iPhone 6s runs with Apple A8 with M8 motion core processor. 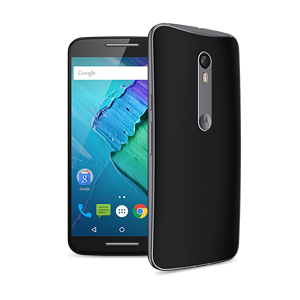 Motorola Moto X: The dimension of Moto X is 6.06 x 3.00 x 0.44 inches (153.9 x 76.2 x 11.06 mm) whereas iPhone 6s plus has 6.23 x 3.07 x 0.29 inches (158.2 x 77.9 x 7.3 mm). Moto X has plastic body with splash, dust resistance and IP 52 certified but iPhone 6s plus has aluminum body. When it comes to camera, Moto X consists of 21mp and iPhone 6s plus has 12mp. With the resolution of 1440 x 2560 at a 515 ppi, Moto X has bigger screen 5.7 inches than iPhone 6s Plus that has 5.5 inches with the resolution of 1080 x 1920 at a 401 ppi. iPhone 6s plus runs A9 chip set with 64-bit processor and Moto X runs Qualcomm Snapdragon 808 MSM8992 with 6-core, 1800 MHz, Cortex-A57 processor. 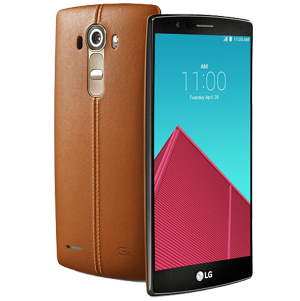 LG G4: LG G4 has the 5.5-inch screen with QHD 1440x2560 Quantum IPS at a 534 ppi while iPhone 6s plus has 5.5 inches with the resolution of 1080 x 1920 at a 401ppi. LG G4 is lighter than iPhone 6s plus as it is 155g and iPhone 6s plus is 172g. When it comes to battery, LG G4 has Built-in 3000mAh whereas iPhone 6s plus has 2915 mAh. With the 3GB LPDDR3 RAM LG G4 runs Qualcomm's Snapdragon 808 64-bit hexa-core chip but iPhone 6s plus has iOS 8, upgradable to iOS 8.4 with A8 chip set. LG G4 sports 16mp rear camera with 8mp front facing camera while iPhone 6s plus has 12mp rear camera with 5mp front facing camera. Huawei Mate S: Having 5.5 inches display, Huawei Mate S runs Android 5.1 Emotion 3.1 UI with the resolution of 1080 x 1920 at a 401 ppi. On the other hand, iPhone 6s plus has 5.5 inches display with the resolution of 1080 x 1920 at a 401 ppi. Huawei Mate S consists of 13 MP rear camera whereas iPhone 6s plus has 8 MP rear camera. 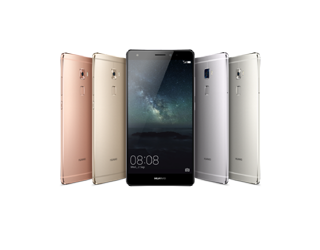 Huawei Mate S has 8-core, 2200 MHz, ARM Cortex-A53e 64-bit processor while iPhone 6s plus runs A9 chip set with 64-bit processor.